ClydeNavalGazing correspondent Gordon Law provides this shot of Isle of Cumbrae and Loch Tarbert at Largs 20 January 2014. 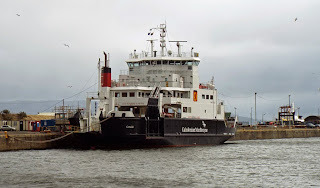 ClydeNavalGazing correspondent Gordon Law posts "Clansman at Brodick, CRSC Outing in teaming rain!!!!!!!!!!" 18 January 2014. 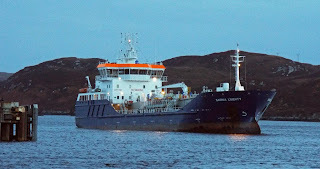 Tanker Sarnia Liberty arrives at Stornoway 20 March 2014. Calmac's interim freight vessel Clipper Ranger arrives at Stornoway 20 March 2014. 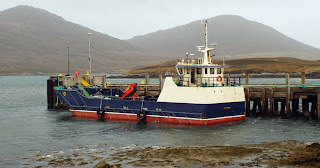 Loch Duart Ltd's workboat Lady Catherine at Lochmaddy pier 19 March 2014. 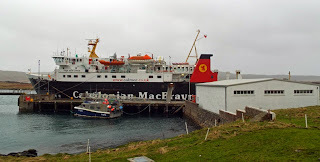 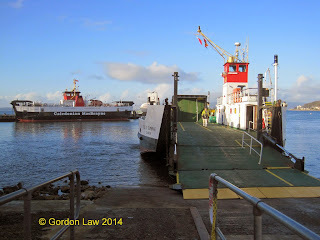 Caledonian Macbrayne's Lord of the Isles stormbound at Lochboisdale 19 March 2014. 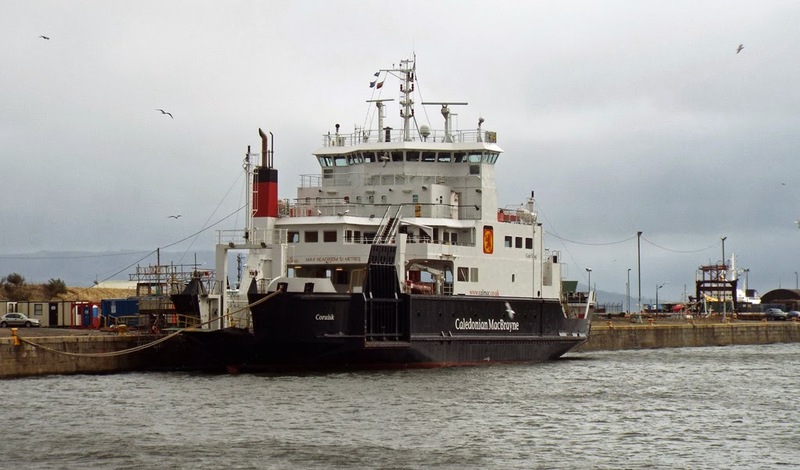 Caledonian Macbrayne's Coruisk undergoes urgent repairs in JWD 16 March 2014, following a collision with Dunoon breakwater which damaged her bow visor. 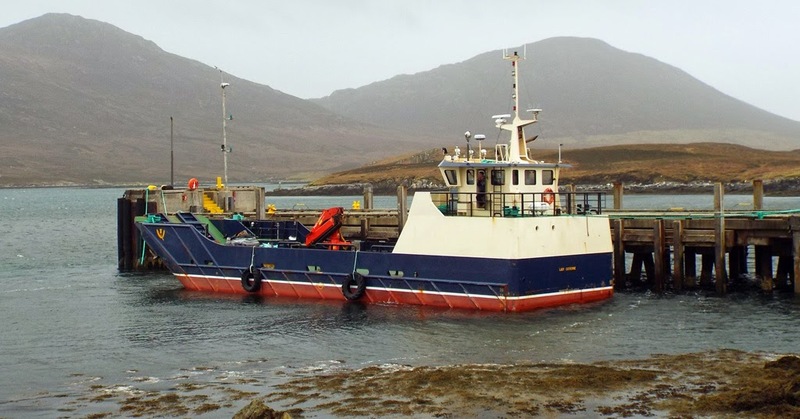 The push is on to repair Coruisk in time for her Summer service between Mallaig and Armadale, which begins on 04 April! 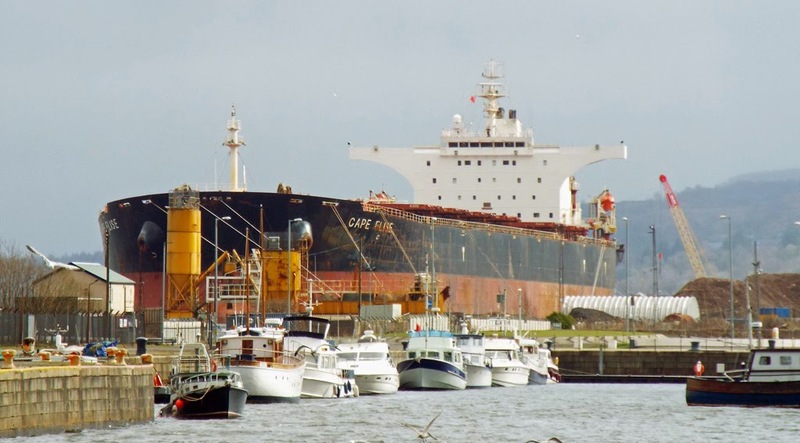 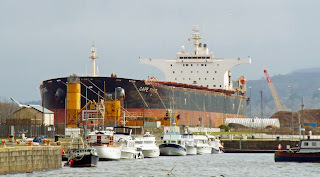 Bulk carrier Cape Elise, overshadows the small craft in the adjoining James Watt Dock Marina, as she undergoes repairs in Great Harbour 16 March 2014. 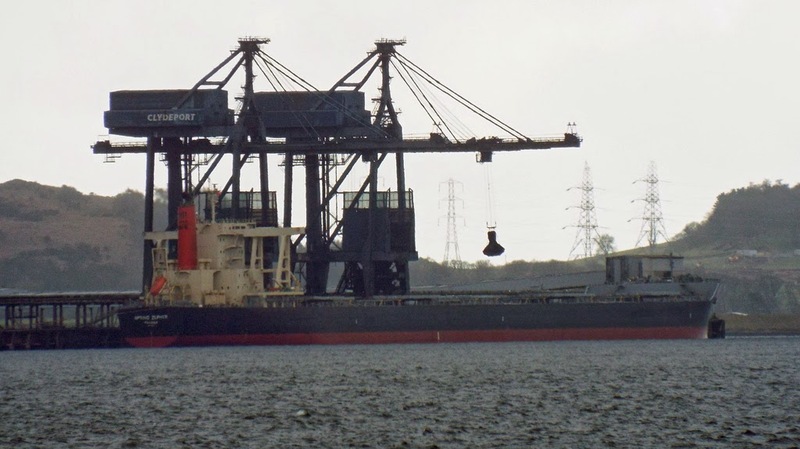 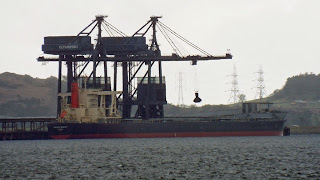 Bulker Spring Zephyr unloading at Hunterston 16 March 2014.